12 Feb 2019 --- Creating cell cultured meat with a fat-like mouthfeel could be much closer than previously thought with Spanish-based start-up Cubiq Foods being the first European producer of cell-based fat for a healthy and sustainable diet. Cubiq will develop and commercialize cell-based fat of animal origin to enhance the flavor of food, to enrich it with essential fatty acids (omega 3) and to help reduce the use of trans fats and palm oil. Healthier fat, with enriched polyunsaturated fatty acids such as omega 3 (EPA+DHA), has the potential to enhance bread and bakery, cookies, cakes, snacks, pizzas, processed foods (hamburgers, nuggets, etc. ), plant-based meat, meat substitutes and infant formulas. Advantages include a standardized quality, which in the case of butter, for example, fluctuates based on what cows have been eating. The production of food from cell culture, or “cellular agriculture,” has been developed from technologies used in medicine. 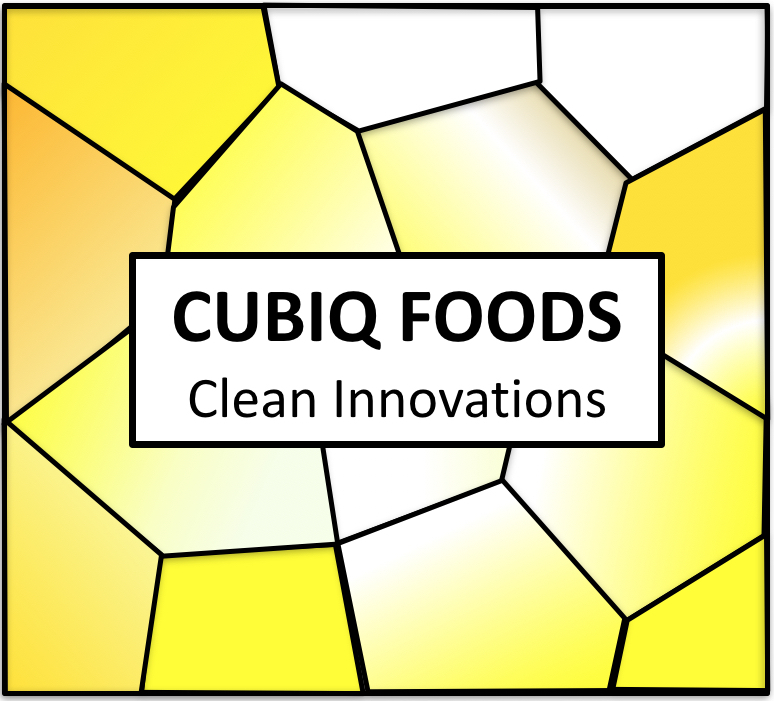 Cubiq Foods will produce cultivated fat enriched with omega 3 from cell cultures following a natural and controlled process, in new facilities with the capacity for industrial scaling. The company is already in discussion with cell-cultured meat innovator Mosa Meat [a Maastricht University start-up] about a potential collaboration. Click to EnlargeAndrés Montefeltro, CEO, Cubiq FoodsUntil now, one of the primary difficulties faced by companies such as Mosa Meat when replicating meat proteins in a lab was creating fat, which is required for mouthfeel experience. This challenge may now be overcome due to development in an adjacent area. “Fat cells multiplication and differentiation is something well-known in cell-based therapies,” Andrés Montefeltro, CEO explains to FoodIngredientsFirst. “Stem cells isolated from patient fat tissue is currently cultured in similar ways to amplify and further tissue differentiation for tissue engineering. Mosa Meat is following a different approach and set of reagents to guarantee a full animal-free process and product. Cell differentiation without some animal cell factors needs further optimization and currently is under development,” he notes. Montefeltro confirmed that Cubiq spoke with Mark Post (Mosa Meat) at the Industrializing Cell Based Meat Conference last week (February 5-6, San Francisco) about a potential collaboration in fat production. “It is natural that companies will pursue some forms of collaborations to avoid pitfalls and to accelerate the product development without compromising core IP and processes,” he says. While the creation of small balls of fat to somewhat mimic fat tissue is possible, replicating the marbling of a steak could be years away, however. Other companies operating in this space include Mission Barns, a Berkeley-based cellular agriculture start-up that is developing clean duck, chicken and pork fat. Last year, the company mixed the fat with other ingredients to create duck sausages. Montefeltro believes that there is plenty of space for development and innovation within this sector. Cubiq produces different types of fat starting from stem cells, with no GMO materials used. “We culture them in bioreactors like beer fermenters and finally we feed them with selected nutrients to differentiate and produce fat,” he adds, without disclosing greater specifics on the technology itself. “We are using standard culture media right know and will evolve the system to animal-free medium in a year or so, for the next generation of products. Meat production is facing different difficulties more related to scaling-up the tissue maturation and muscle fiber development. This kind of culture need some specific and adjusted bioreactors not standard yet in the industry,” he explains. 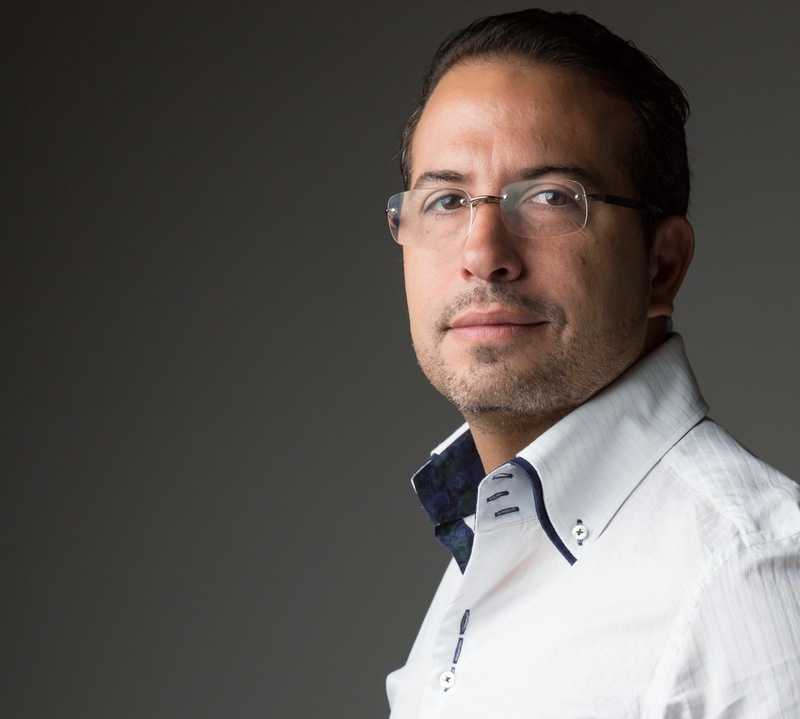 Click to EnlargeNews of a potential clean meat collaboration comes weeks after Moira Capital Partners SGEIC, the Spanish private equity boutique, backed Cubiq Foods, with an investment of €12 million (US$13.6m, December 21, 2018), led by Javier Loizaga. Montefeltro explained that almost half of the investment will be used towards expanding the company’s Barcelona-based pilot plant, with plans to further scale up to industrial production (700 tons/year). The other half is for operations until break-even point. · Phase 1: Moira invests €5m in 2019 to enable the construction of an R&D laboratory and a pilot plant with the capacity to produce up to 5.6 tons per year. · Phase 2: In 2021, with an additional Moira investment of €7m the capacity of the plant will be increased to 700 tons per year. · Phase 3: The continued expansion includes the opening of new production plants from resources generated by Cubiq Foods themselves. In terms of timeline for a commercial rollout, Montefeltro is confident that Cubiq’s commercial debut can be expected in the coming 2-3 years. “We are developing fat as a food ingredient and also fat as a rich source of omega 3. They are different products with different applications. We expect to prototype this applications by the end of 2019 at pilot scale. By the end of 2021 we could be in market as part of some new product lines. Bakery applications could develop and launch a product in such timeframe,” he says. Cubiq Foods expects to reach sales of €26 million by 2022. Regulatory constraints for the launch could also be less challenging than anticipated, although novel foods approval will be required in the EU. “There is a process to follow. Without GMO materials, using edible and approved for food reagents along the process and the production of fat that it is already in the market from different sources, it should be straightforward. We do not envision such constraints like in meat product, where labeling, nutritional value, non-GMO, edible scaffolds, etc., could be an issue,” he says. While the process is innovative, Montefeltro is confident that consumer perception itself will not form too large of a hurdle. “At the end of the day, we are producing rendered fat. It is indistinguishable from rendered fat of pork, cattle or even fish oil. While the process we follow is quite innovative, the consumer will not find any appreciable differences in the final fat ingredient. Our fat is enriched in omega 3 or healthy fatty acids with a great flavor,” he says. “We know that we need to explain what we do and why our process is more efficient, sustainable and clean than the natural one. Something similar was done in the past with growth hormone production. At first the hormone was extracted from animal organs and is now produced in cells in a cheaper and safer way,” he adds. Moving forward, there are plenty of avenues for the company to explore. “I really like the idea of training cells to produce value added products. We did with bacteria, yeast and fungi. Now is the time for cell tissue or more complex cell cultures that can be produced with efficacy difficult compounds that are still extracted from animals at high cost with great impact on the environment and wildlife,” he says. “We don’t need to much innovation now. We need to use what we learned from cell therapy and adjust the process for food in industrial scale. Everything is in place to do that,” Montefeltro adds. For the start-up CEO, the goal should be to develop new alternative foods, with great flavor and enhanced nutritional value. They should be healthy and clean to promote the adoption in traditional meat-lovers consumers (not just vegans or vegetarians). This will reduce the overall natural meat consumption and in their case, support a new generation of healthy bread & bakery and full flavor plant-based products. “My concerns today is that most cell-based companies started from a pure animal-free use vision. This will delay the scale-up and maturation of some products. It is natural, if you are culturing animal cells, they will growth better with animal-based media than other options. Then, like most of the start-ups, if this company has small resources, media optimization and growing conditions could lead some of them to fail at the scaling up stage. Heavily funded companies have been working in serum-free media for three or more years in order to find a proper one. They developed some options and now are focused on product development for another 2 years to reach the market. How can start-ups survive 3 years without a product, a clear scale-up and a go-to market plan?” he asks. Moira Capital Partners SGEIC is specialized in high return direct investments, for private and institutional investors. The firm leads investments of up to €100 million of capital, under a differential approach with respect to traditional venture capital, which allows access to unique and exclusive investment opportunities. The partners of Moira Capital Partners have more than 35 years of experience in the Iberian and Latin American private equity market, in a total of more than 100 transactions. The management team of Moira has invested more than €2 billion in equity during its career and more than €1.5 billion in debt. The investment in Cubiq Foods is Moira's sixth operation since its incorporation in 2017, after investments in the Nice Fruits Group, the Pedro Jaén Group, Grit, Bioflytech and Euroespes. After its investment in insect protein (Bioflytech), this new commitment to healthy fats sees Moira extend its search for alternative solutions to the current forecasts (FAO reports) of worldwide food shortages. Clean meat is created by growing meat outside of an animal from a small cell sample, eliminating the need for factory farming and slaughter. The result is 100 percent real meat, but without the antibiotic residues and bacterial contamination that come standard in conventional meat production. The process is efficient, reducing land and water costs and slashing greenhouse gas emissions. Companies in the US and Europe are already producing clean hamburgers, steak bites and pork sausage, plus clean milk and egg products. 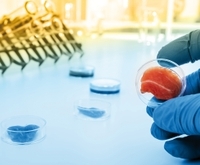 In an interview with FoodIngredientsFirst last week, Niccolo Manzoni, Co-Founder and Managing Partner of Five Seasons Ventures, stated that plant-based alternatives to animal proteins and crop gene editing tools are among the most promising areas for food technology investment right now, but the highly exciting field of cellular agriculture may be just too far down the horizon for traditional venture capital investors. Because of the high technological risk and the fact that it is a field where, until very recently, nobody has been active before, cellular agriculture could carry huge rewards for successful innovators and investors. First regulatory and consumer concern constraints need to be overcome, however. “It will be important to have consumer acceptance of a product that gets manufactured in a petri dish as opposed to coming from an animal. Some consumers may find this concept ok, but for others, it may seem like ‘Frankenfood,’ which is not something that consumers are traditionally interested in,” says Manzoni. You can read the full interview here.